Porto is a great city to visit, providing a vibrant alternative to Lisbon and making one of the world’s most popular kinds of wine. 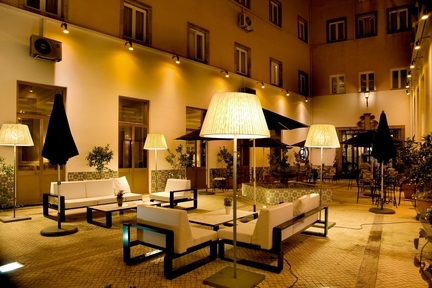 There are plenty of luxury hotels there too, but for an affordable stay with loads of quality, look no further than the Hotel Infante Sagres. Some wonderful packages are available. For instance a one-night stay can be enjoyed for €126 with breakfast and free Wi-Fi included, a two-night golf experience that includes a chance to use a brilliant local course for €160, or a three-night stay including a tour of the beautiful neighbouring Douro agricultural region for €215. These and more packages show what superb choice at great prices can be enjoyed in the hotel. Other offers involve surfing, gourmet food and other great activities. Visitors will also often come for the Angkor Wat Spa Room. Filled with images from the east and generally endowed with an opulent feel, this is a great place to come and relax, soak away those aches and pains and feel detoxed and refreshed. By the end of a stay, anyone using the spa a lot will feel like a new person. Above all else, the city makes a great base to explore the city of Porto. Undoubtedly the wineries that produce the world famous port wine are top of most people’s lists, while sports fans will tend to check out the Estadio do Dragao, home of two-time European champions FC Porto. However, there is much else to see in the city. Its architecture has a growing reputation, having been the product of the efforts of many great designers. Gustave Eiffel’s Dona Maria Bridge, Nicolau Nasoni’s Clerigos Tower, Rem Koolhaas’ Casa da Musica, or Siza Vieira’s Serralves Museum can all be found here. Porto even has some great claims to fames as a birthplace. Henry the Navigator is one great Portuguese figure, but even Harry Potter may be added, as JK Rowling was living in the city when she started writing her first novel about the wizard.